Craving change? 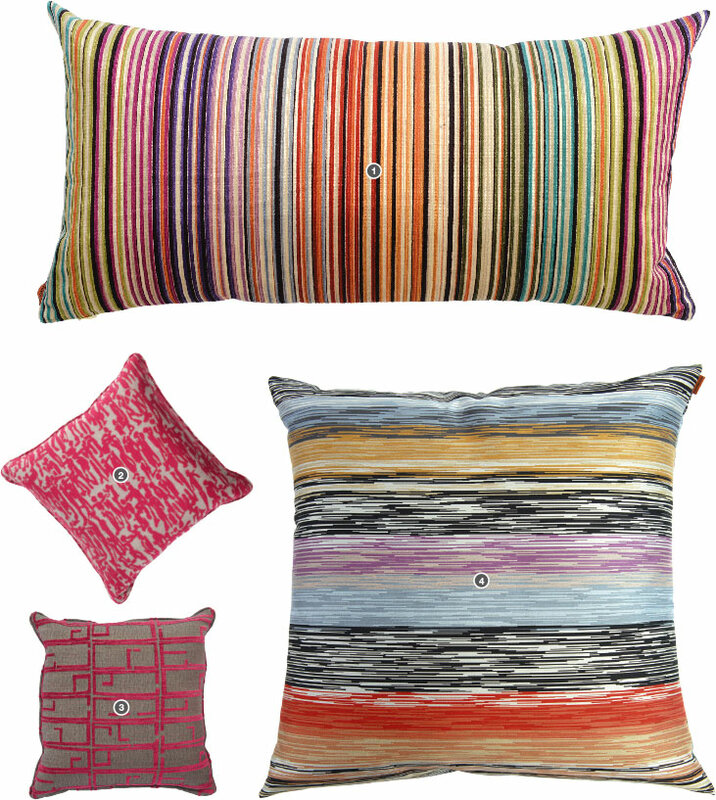 Invigorate your home décor with throw pillows. Here are some ideas to get you started. 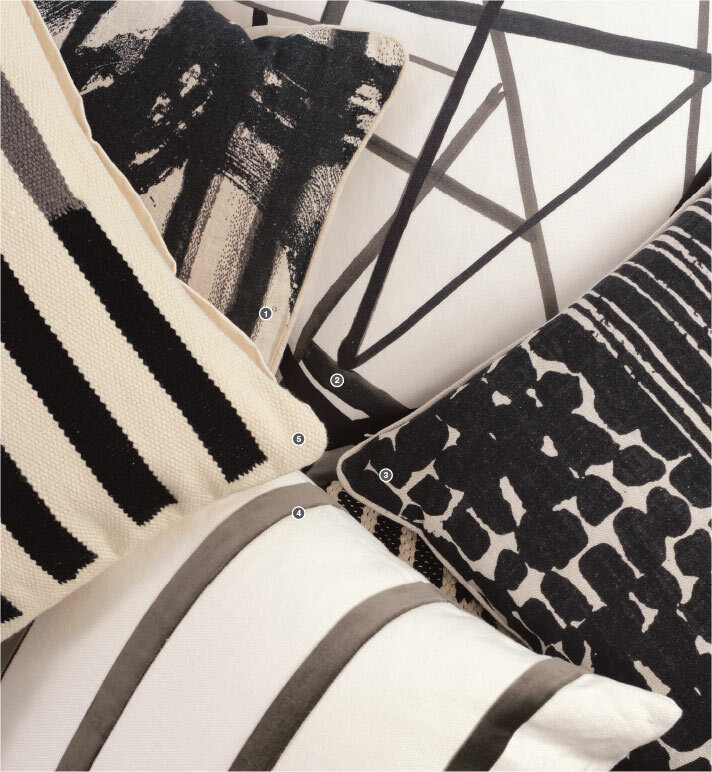 Black-and-white pillows deliver a dashing statement. 1. $95 at the Elements at Prairie Trail. 2. $285 at K. Renee Home. 3. $95 at the Elements at Prairie Trail. 4. $235 at K. Renee Home. 5. $119 at Ethan Allen. 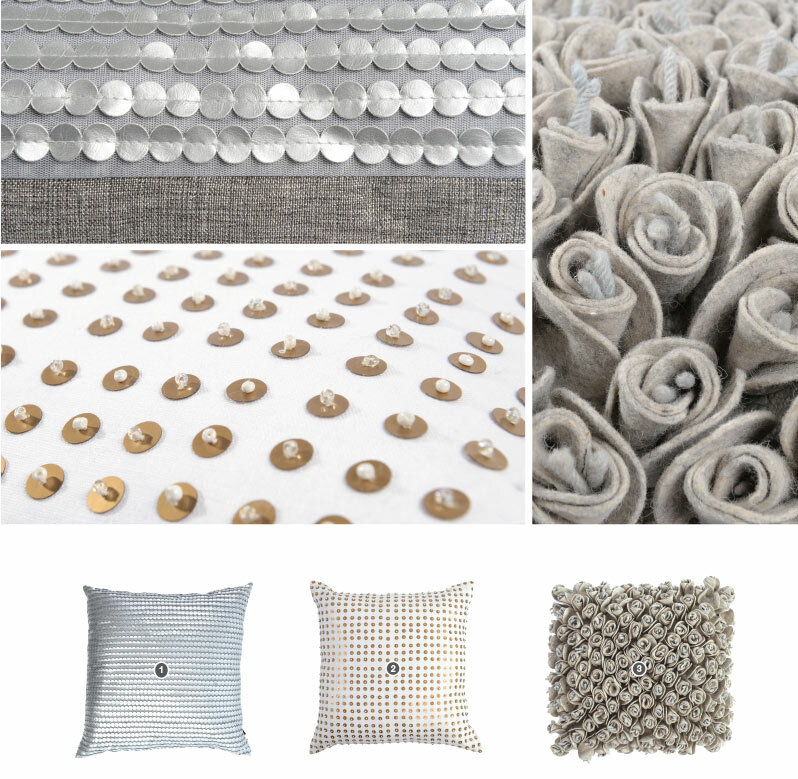 Artful pillows can transform an entire room by creating a lively focal point. 1. $354 at Projects Contemporary Furniture. 2. $387 at the Mansion. 3. $428 at the Mansion. 4. $546 at Projects Contemporary Furniture. Don’t forget about texture. Tactile contrast adds interest and depth. 1. $134 at the Elements at Prairie Trail. 2. $180 at K. Renee Home. 3. $175 at Accents & Interiors. 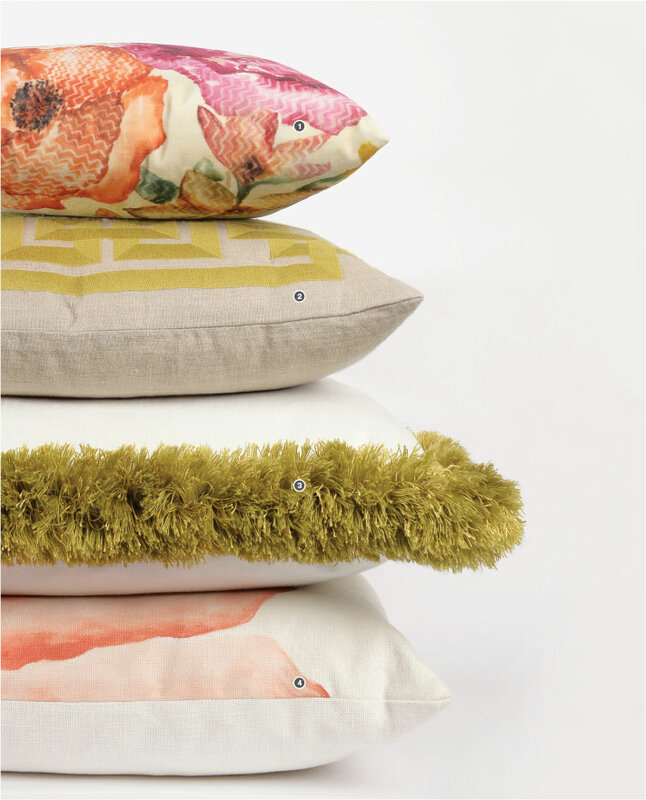 A few large pillows can create a cleaner look—and pack a bigger punch—than a mishmash of smaller ones. 1. $297 at Projects Contemporary Furniture. 2. $133 at the Mansion. 3. $151 at Ethan Allen. 4. $169 at Ethan Allen.